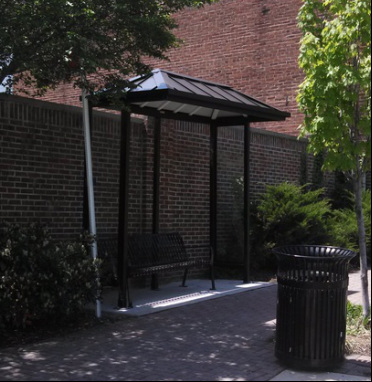 5/8/14: The new bus stop shelter is in! According to Oleg Kotov of County, it will be power washed soon. He's also going to install landscaping. Check it out! Maureen Ross has been in regular contact with the County on this problem since it first occurred in 2012. Just wanted to give you a brief update on our little improvement project by the substation wall. I reviewed the location with our landscape architect and obtained a quote from contractor to replant the juniper bushes and plant a tree. 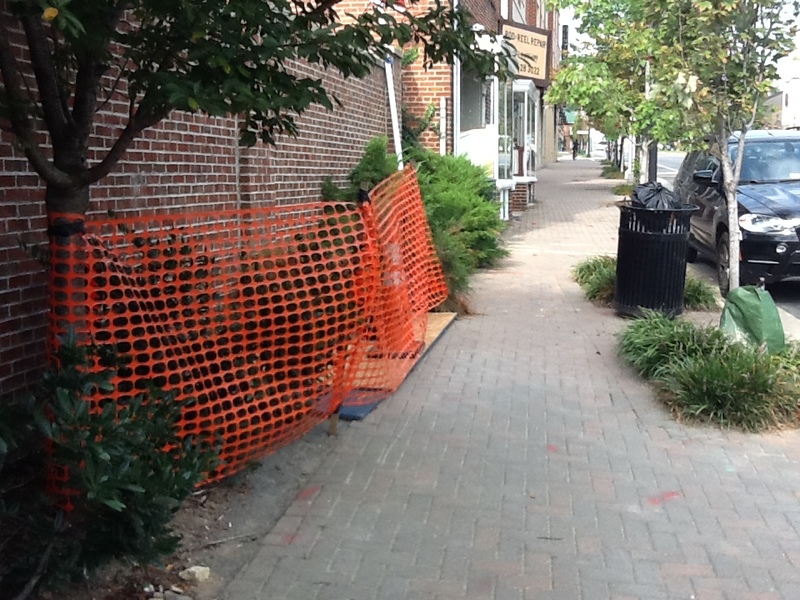 Our Real Estate Bureau is still in the process of modifying the existing County easement along the wall to allow for installation of a small concrete pad and bench. No problems so far and I hope we’ll get it soon. Once the planting season starts we’ll proceed with the project. I’ll notify you before we start the work. 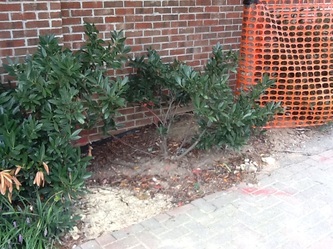 I’ve talked to Jill Yutan regarding the landscaping. She recommend continuing with the same cherry trees that are already there - Okame Cherry, size: 8-10 feet in height. I’ve attached a sketch of the proposed bus stop and landscaping improvements.